"Let me take shelter of the Supreme Personality of Godhead, Sri Krsna, who has descended in the form of Sri Krsna Caitanya Mahaprabhu to teach us real knowledge, His devotional service, and detachment from whatever does not foster Krsna consciousness. He has descended because He is an ocean of transcendental mercy. Let me surrender unto His lotus feet. 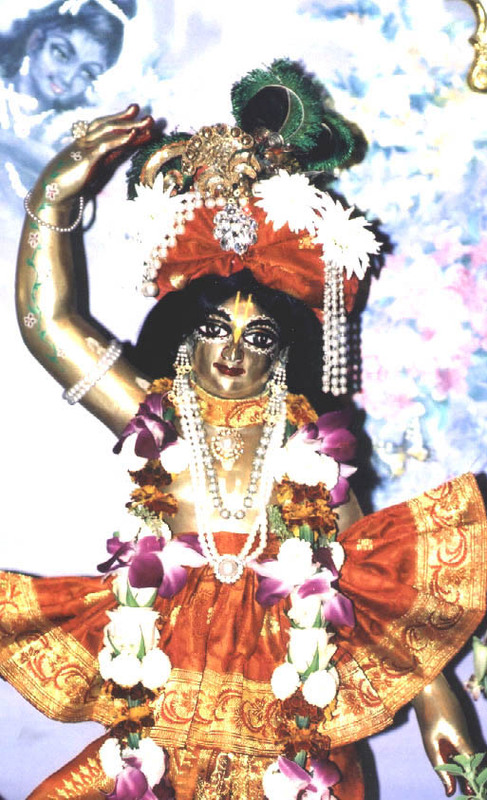 Let my consciousness, which is like a honeybee, take shelter of the lotus feet of the Supreme Personality of Godhead, who has just now appeared as Sri Krsna Caitanya Mahaprabhu to teach the ancient system of devotional service to Himself. This system had almost been lost due to the influence of time."